Inspired by Laura Mercier's cult classic Caviar Eye Liner, Caviar Stick Eye Colour offers a new technique to enhance the smoky eye look. This creamy formula provides endless options for a flawless smoky eye. Each convenient stick is long-wearing, transfer- and crease-resistant. The colour glides onto lids and blends easily with a rich colour payoff. Apply directly to lash line for a smoky liner effect, or all over eye lid for higher impact. Blend with the Creme Eye Detail Brush or fingertips for a smoldering finish. 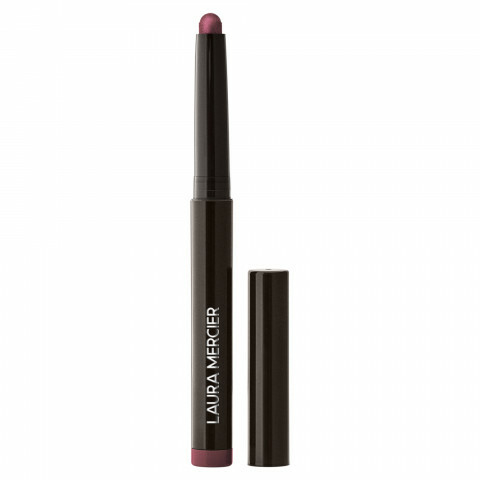 Use alone or together with Laura Mercier's Caviar Eye Liner. Removes easily with Laura Mercier Dual Action Eye Makeup Remover. Purchased in Silver Frost. Color was a little disappointing. It's almost sheer with a lot a sparkle. Great for highlighting just below brow but not on eyelid. This is the BEST eye shadow. Stays on ALL day with no creasing. Be sure to blend within about 30 seconds. Also the perfect eye liner. Stays in water line with no smudging or transfer. Yes, for lining the upper eye lids. No, does not wear all day on lower eye lids. Easy to use. Makes a very thin or heavy line depending on how you use. love the color shades. i love these stick eyeshadows. such beautiful pigmentation, go on smoothly, and never crease. great to use on the go. Love these caviar shadow sticks!! They are so easy to apply, great for travel, and are easily blended out with just a finger. I like the large range of colors. I love these sticks for when I want a quick and easy pop on my eyes. The color is beautiful and they aren't overly creamy which makes them last all day! the LM Caviar sticks are amazing! the last much longer than any others that i have . this is my favorite quick and easy way to create eye looks that will last all day. i have so many shades amethyst,copper,steel,smoke,rosegold and cocoa. this is one purchase you absolutely won't regret!